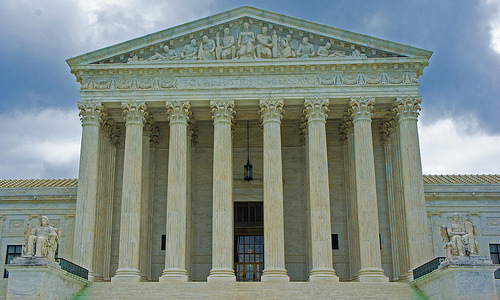 Last week the United States Supreme Court in the case of Birchfield v. North Dakota, issued a decision on the need for search warrants in drunk driving cases. This decision will effect DUI/DWI charges in every jurisdiction including Pennsylvania because the Court provided a ruling that addressed blood draws and breath testing; both of which are used in the Commonwealth. The decision also addressed the “implied consent” law to chemical testing that is also incorporated into the PA DUI statute. Keep in mind that Pennsylvania, prior to this ruling, remained on a path that continued to erode the need for a search warrant. The case of Commonwealth vs. Garry said that Pennsylvania didn’t provide any further protections than the US constitution with regards to “warrantless searches” of motor vehicles and cars. This decision, however, addressed the search of property, while the recent US Supreme Court decision addressed the search of a person and specifically the use of blood draws to obtain a person’s blood alcohol concentration (BAC). The Court specifically held in the Birchfield case that a blood draw is obviously intrusive because it requires a person to submit to a government test that “pierces their skin” and withdraws bodily fluids. This decision will dramatically change the way DUI’s are prosecuted in Pennsylvania. At the very least it may cause police to utilize breath testing more than blood draws. If police do use a blood draw, they will have to demonstrate their attempts to obtain a warrant or the evidence will be inadmissible in a criminal court. While courts will still evaluate these DUI’s on a case-by-case basis, police are no longer able to simply rely on the assumption that a warrant will take too long to obtain. Blood evidence is extremely important in a DUI, especially in Pennsylvania where the drunk driving statute is set up in tiers. The severity of a DUI increases according to a person’s BAC which is introduced through the results of a blood or breath test. I’ve written previous articles on both of these topics and the 9 types of DUI charges in Pennsylvania. To obtain a search warrant in the Commonwealth, police need probable cause that a crime has been committed or is being committed. In a drunk driving case, a court will evaluate an affidavit of probable cause based on a totality of the circumstances analysis which involves the police officer’s observations, his experience, and his training in these areas. Unlike at the federal level, PA courts aren’t permitted to look past “the four corners” of the search warrant to determine if the police officer had probable cause. If you’re attorney is challenging a search warrant either in a DUI case, a drug case, or a gun case, the contents of the warrant are extremely critical. Challenging a warrant, however, is a pre-trial matter because your attorney is seeking to exclude otherwise admissible evidence from the trial. Even if your pre-trial motion isn’t successful (motion to suppress evidence – BAC results) your attorney should attack the reliability of those results at trial. The reliability of BAC results can take the form of challenging the chain of custody for a blood test or the accuracy of the breathalyzer which has recently been the subject of criticism within the Commonwealth. For more information on drunk driving cases and some great defense strategies, I encourage you to subscribe to my monthly newsletter, read my blog, and make sure to download my free book.